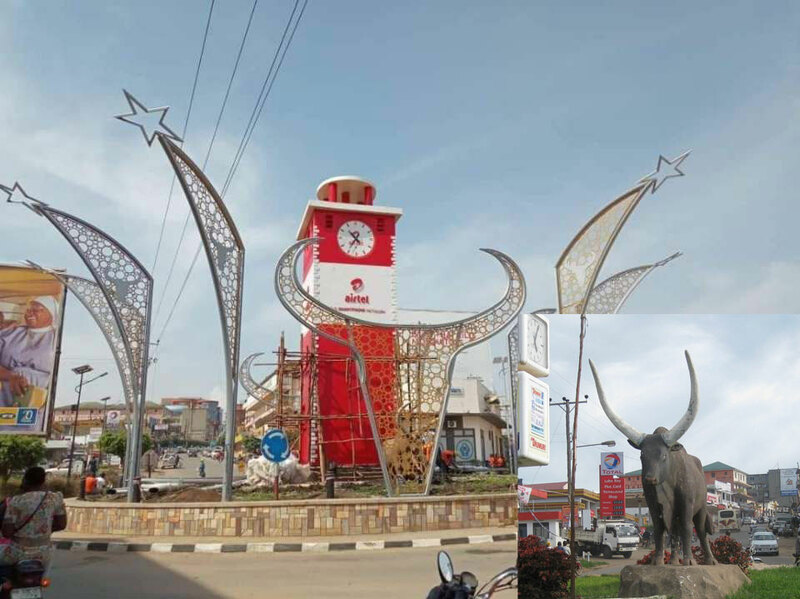 Mbarara Town has for a long time been symbolised by a statue of a cow and as you know the people of Mbarara love their cows. This landmark on the Mbarara Masaka Road roundabout had, however, been in a poor state for some time. The horns on the statue were broken, and its shape was slowly descending from that of a cow. This prompted the Municipal authorities to look for advertisers who can take up the project to give the statue a facelift and that is how Airtel came in. The new modern artistic designs that light up at night have, however, overshadowed the old statue. But social media users are not impressed, with one even saying the new designs look like fallopian tubes. 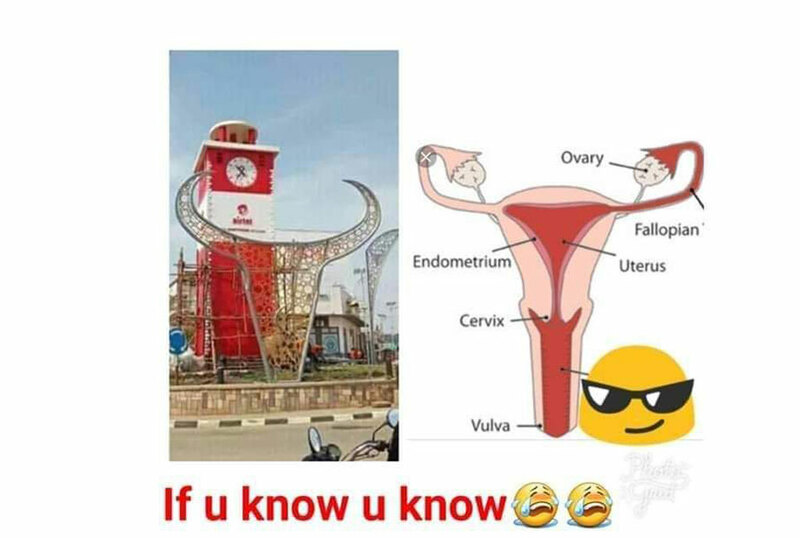 “So In Mbarara someone thought it was very wise to replace the cow with Fallopian tubes,” Kojo Ojigbani, a Facebook user commented. TonieG Tony said it looks like the entire female reproductive system. #BringBackOurCow has even been started but we shall have to give it time and see if it will cause any change. Even Kampala City Lord Mayor spoke out saying that the clutter is awful and totally unacceptable. “As we’re still battling with Airtel to redesign and modify their towers at Kibuye and Jinja Road junctions into monuments that symbolise our heritage, they have now descended onto Amahembe g’Ente junction in Mbarara. That we need artefacts and monuments in our cities is a given but they should be able to tell a story about our country. This Aitel clutter in Mbarara is awful and totally unacceptable. They must be called to order,” Lukwago posted on social media.